LeBron James‘ rumored intention to join the Los Angeles Lakers next offseason was fueled on Tuesday after the four-time NBA MVP was spotted at the exclusive Notre Dame High School located in Sherman Oaks, California. 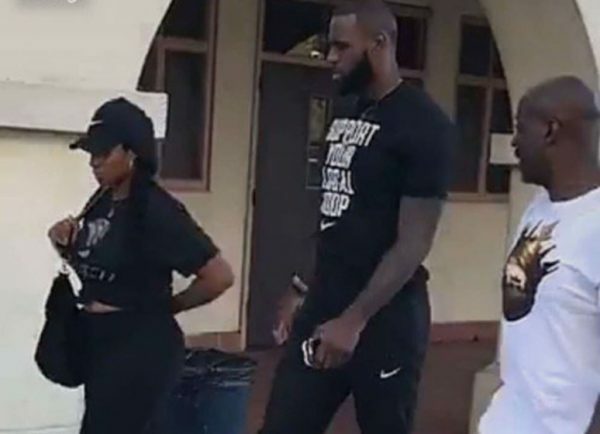 The photo quickly went viral, with many fans assuming that James is looking at schools for his two boys in preparation of a possible move from Cleveland to LA. This could mean a lot of things, but it certainly adds weight to the numerous predictions that James is planning on continuing his NBA career in Los Angeles when he becomes a free agent next offseason.